Ranger Dylusions CREATIVE DYARY 2 Dyan Reaveley djy58663 at Simon Says STAMP! djy58663 This item is on reserve until If you would like to reserve this item now, you may purchase it now with the rest of your order. We will hold your order now and ship your entire order as soon as this item is back into stock. If you would like your order to ship now, please place this item on a separate order. 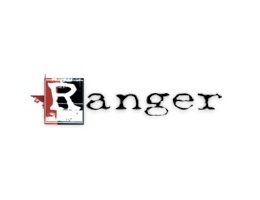 Success, Ranger Dylusions CREATIVE DYARY 2 Dyan Reaveley djy58663 has been shared! Introducing the Dylusions Creative Dyary 2, containing all new interior artwork! The Creative Dyary measures approximately 5 x 8 inches. The Dylusions Creative Dyary includes weekly agenda pages, Dylusions backgrounds, and coloring sheets for on-the-go creativity. Featuring the same great Mixed Media Cardstock found in other Dylusions Creative Journals in a lighter weight. Creative Dyary includes 56 double-sided printed pages.